When you've been making coffee for nearly 100 years, you're doing something right. Baton Rouge-based Community Coffee Company, the largest family-owned and operated coffee company in the U.S., has been serving up blends that get the morning started off right since 1919. But sometimes even the best can embrace change. Fortunately, the change in this case doesn't sacrifice the nice taste of Community's blends, which the company was kind enough to let me sample–spoiler alert, the Colombia blend is quite delightful. 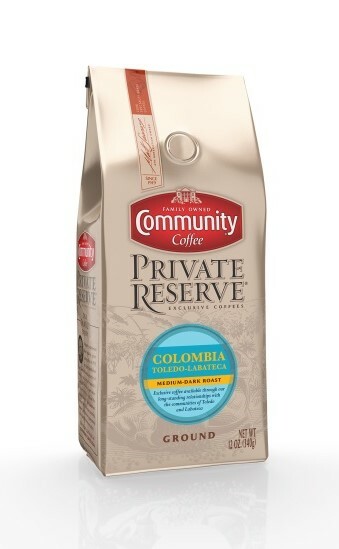 Rather, its Private Reserve coffees are now featured in a contemporary gold package. They'll be on shelves in the spring, but can currently be purchased online at CommunityCoffee.com. Now in its 96th year, the company has been through four generations of the Saurage family since its inception. Community imports, roasts and distributes premium coffees and teas, using only 100% Arabica coffee beans. These new packages aim to explain the stories behind each coffee–hey, a little reading never hurts. Check Community Coffee Company out online, in stores, or on Facebook and Twitter. And most importantly, enjoy!